6-1/2 in. x 1/4 in. 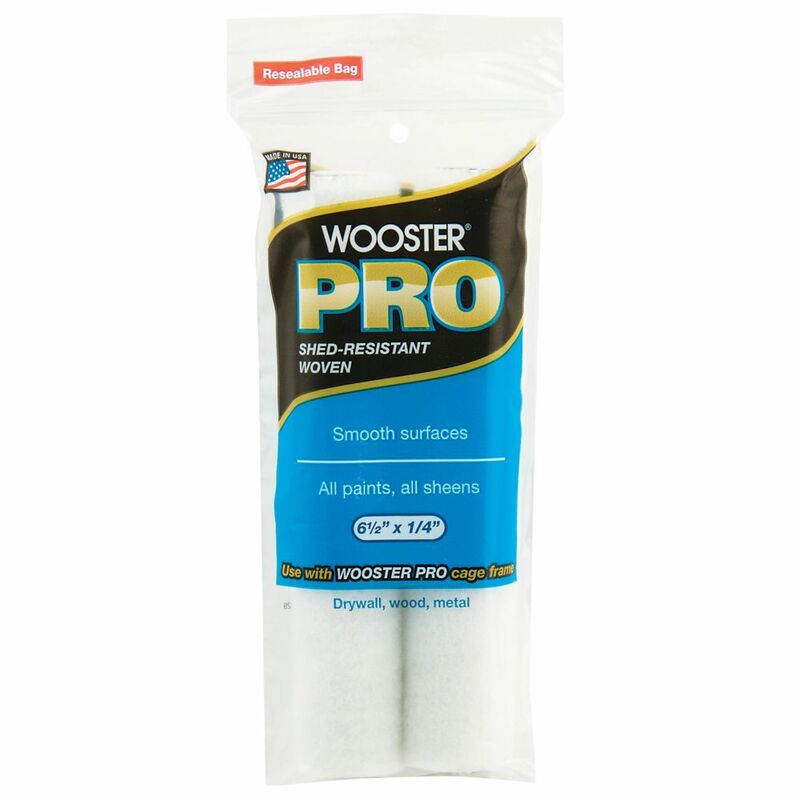 (165mm x 6mm) Wooster Pro Woven Mini Roller Cover (2-Pack) Wooster Pro cage frame mini rollers make painting easier. The greatest appeal is for small jobs that typically, in the past, would have required a brush. Cage frame mini rollers are lightweight, fast and easy to use. They're great for any area with a lot of fixtures, trim or windows resulting in small wall spaces. Keep cage frame mini rollers in mind for these painting projects; kitchens, baths, closets, hallways, cabinets, moldings and cutting-in trim work.